Cannabissearch.com Buzz Rating: A very stony high is present with this strain initially, however after around 10 or 15 minutes it transitions into a much more balanced and potent effect. Great for daytime or evening use. It's not going to keep you up or put you down. These buds are pretty dense in their structure and have long, wispy pistils that can range in color from light pink to tan. This strain is very sticky, which can make smoking a joint somewhat problematic. This is probably best to ingest through a bong, vaporizer or other piece. This strain has excellent effects for relieving stress and anxiety, as well as nausea and other stomach and bowel issues, such as Crohn's disease. These ladies will do well in a SCRoG type grow, due to their multitude of side-branches and several main colas. It's even better to top them a few times before they go into a SCRoG. Doing this can increase the yield from somewhat low to well above average. 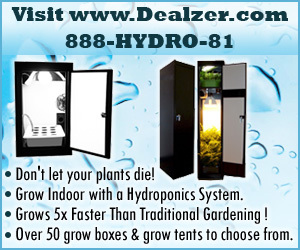 Expect PM or bud rot when you cultivate this strain in hydro, as it is almost guaranteed to happen. The same thing goes for greenhouse growing. On the same note, whenever growing Klingonberry indoors the grower needs to make sure they have adequate ventilation, due to the aforementioned propensity to accumulate mildew and other types of mold. This is a strain that likes to be fed moderate amounts of nutrients that are increased gradually. It's also important to give these ladies a good flush of the veg nutes before starting them on flower nutrients. Klingonberry 5.00 out of 5 based on 1 ratings. 1 user reviews.